They’re a little bit girly…a little bit rugged…a little bit dark…a little bit spiritual…and a little bit rock and roll. They are…Guilty Jean! 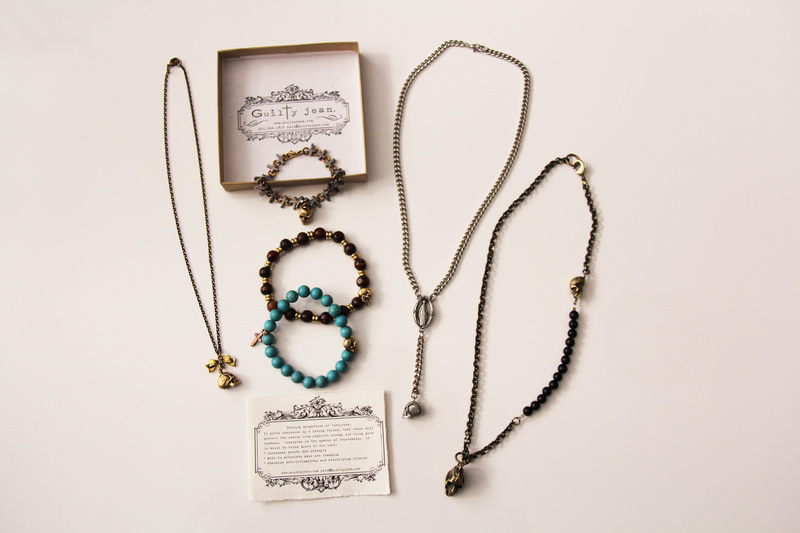 The phenomenal jewelry collaboration by artists Nicole Rivera and Maria Vaspasiano is a personal favorite of mine. Connecticut born and New York City based, these two ladies handcraft each piece of jewelry in their collection. 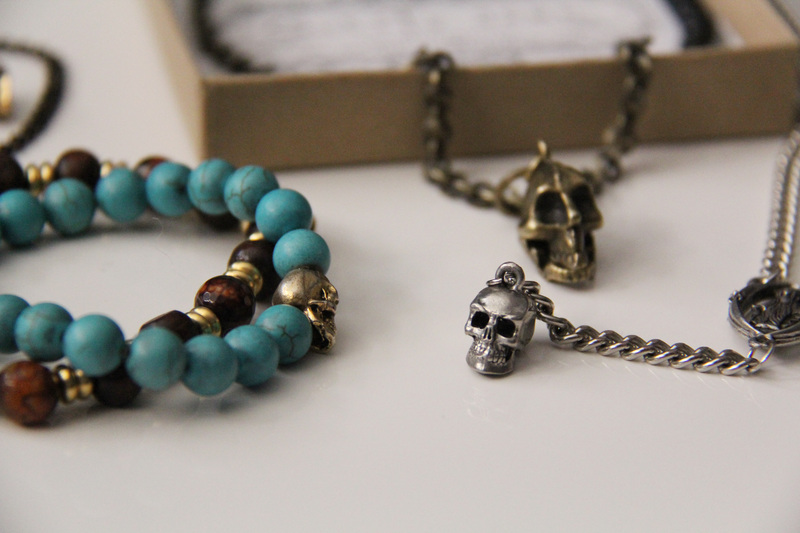 They are extremely talented individuals with a passion for fashion and a love of all things edgy. I was so excited when Nicole and Maria surprised me with these fabulous pieces from their “Sinner & Saint Collection,” and I could not wait to style them. This line has an element of gothic punk mixed with spirituality. It’s flirty, yet edgy at the same time. I love the mix of skulls with religious symbols and bows. If you know designers Nicole and Maria in person, you know this line totally fits their personality. Take a look at some of my favorites from the collection below. I know you will love it just as much as I do! 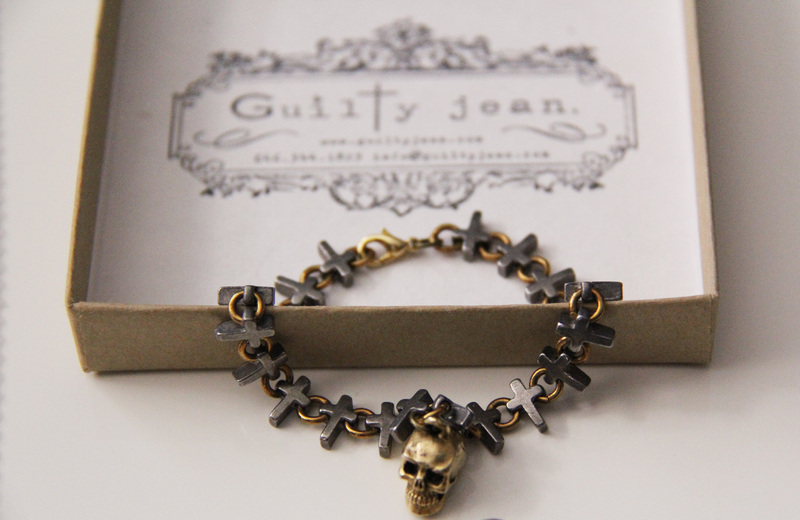 Guilty Jean provides detailed write-ups in their packaging about the materials they use to handcraft your jewels. Gentlemen, don’t feel left out! They also have a men’s line which is equally amazing. Enjoy, and hope you all have a wonderful Tuesday!